When this profile first appeared in 1950, the column's subject, Mao Zedong, was generally seen as a tin-horn dictator and Stalinist dupe. It wouldn't be long before he would be widely recognized as one of the greatest mass-murderers in world history. Upon hearing that Stalin had died, "the official Red Chinese radion spent hours talking of Stalin's death, paid little heed to Malenkov's elevation to Russia's premiership." 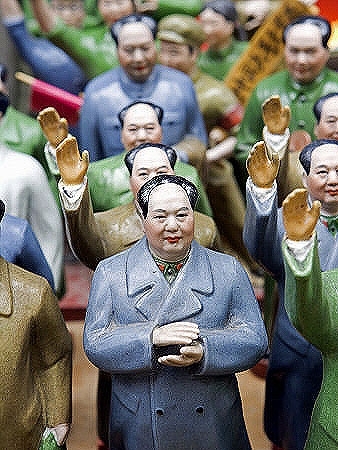 "Mao has considered himself second only to Stalin in communism". This is a single column that clearly lays out the Truman Administration's diplomatic policies concerning Mao's China - the summary is reduced to five bullet points. "No official military aid for Generalissimo Chiang Kai-shek's Chinese Nationalist government, either on the island of Formosa [Taiwan] or anywhere else. 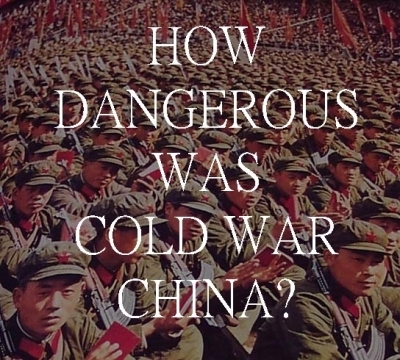 No hasty recognition of the Communist Chinese government of Mao Zedong. No attempt to stop further Russian advances in Asia except through 'friendly encouragement' to India, French Indo-China, Siam, Burma and the new United States of Indonesia..."
In December of 1949 Generalissimo Chiang Kai-Shek's anti-communist forces retreated to the island of Formosa (Taiwan).